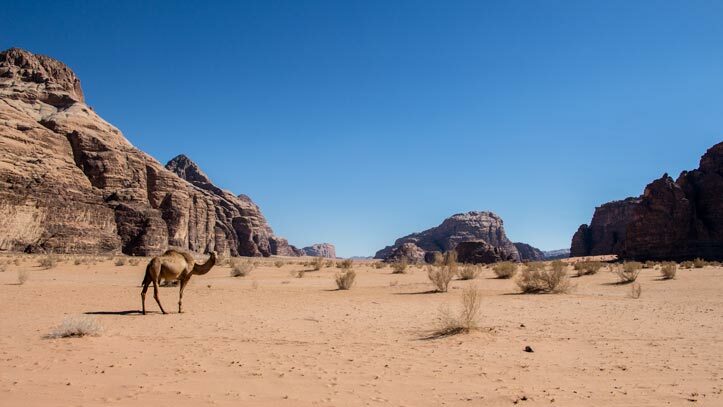 A camel ride is one of the best ways to experience Wadi Rum desert like a Bedouin. During this 1-day ride, you visit sites close to Rum village. 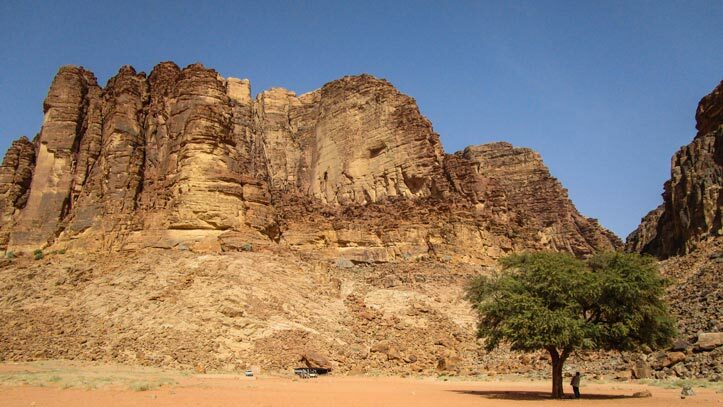 At lunch time you enjoy a Bedouin lunch and rest in the shade. We start our afternoon with riding to the Lawrence house. You can see the house and climb the rock formation behind to enjoy the view. Next, we ride to Khazali canyon. 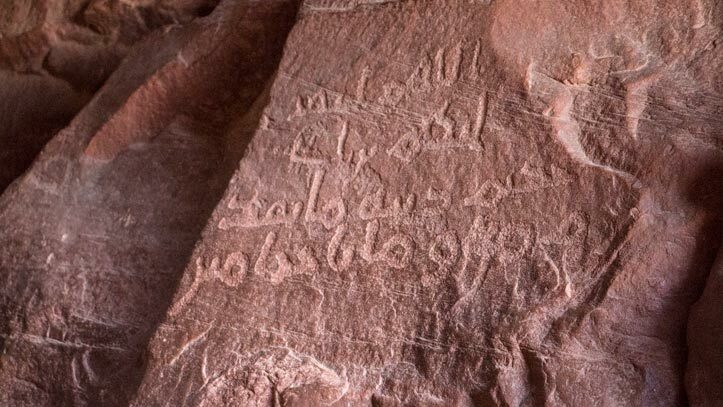 Here you can see ancient inscriptions and a waterhole. We continue riding to Lawrence spring. We make a stop here. 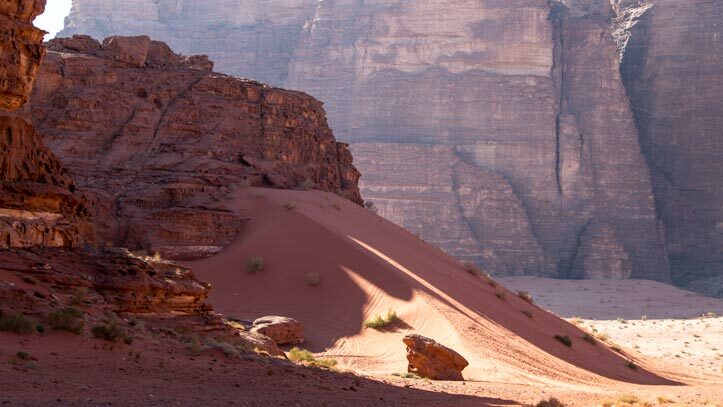 You can climb to the natural spring and enjoy the spectacular view of Wadi Rum desert ones more. After a short final stretch, we arrive in Rum village. We arrive here around 6 PM or if the sunset is earlier, around sunset time. From here you can continue your journey. Of course, we can help you to arrange transportation to your next destination. 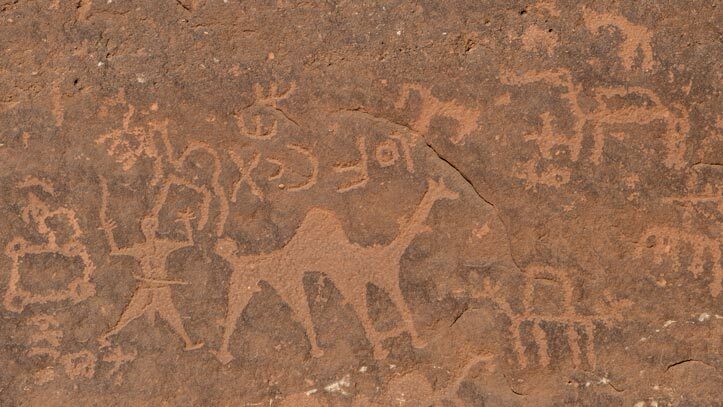 This price includes a camel guide, 2 camels (one camel for you and one for your guide), lunch and drinks. 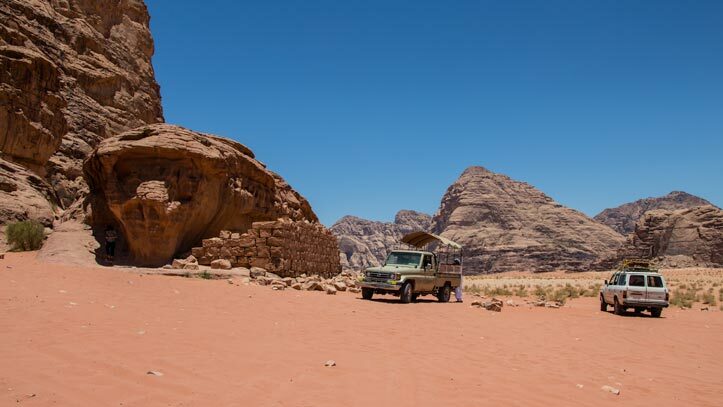 This price includes a camel guide, the camels (one camel per person and one for your guide), lunch and drinks. Our camel ride prices are based on shared riding. Our minimum group size is two persons, and our maximum group size is eight persons. For groups of more than eight persons, we offer private tours without a surcharge being applicable. Tour departures for one person are available upon request and are subject to a surcharge. We determine your price based on the number of people who are in your booking.